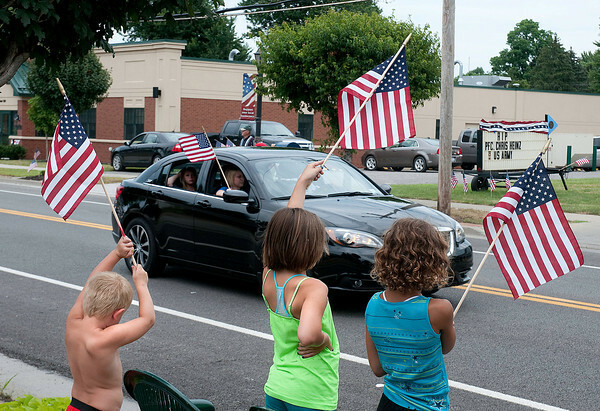 James Neiss/staff photographerNewfane, NY - Danillo Voelker, 4, his sister Giana, 9, and their cousin Hailey Voelker, 9, hold flags in honor and tribute to Newfane soldier PFC. Chris Heinz during a funeral procession to Corwin Cemetery. A sign across the street at City Hall read RIP PFC Chris Heinz.